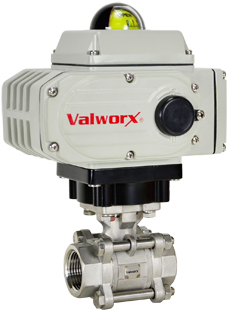 Valworx 565310A electric actuated 3-piece stainless steel ball valve is used for on-off control of water, air, oil, and other media compatible with the materials of construction. Unique three piece investment cast bolted body design offers the advantage of a swing out body for easy inline maintenance. Standard unit is power-to-open and power to close, stays in last known position with loss of power. On receipt of a continuous voltage signal, the motor runs and via a self-locking all metal gear drive rotates the ball. The motor is stopped by internal cams striking limit switches. 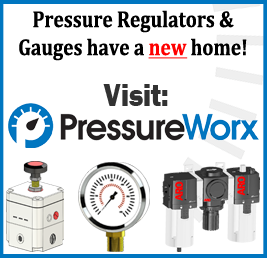 On receipt of a reversing continuous signal, the motor turns in the opposite direction reversing the valve position.